OSU-Cascades is committed to supporting veterans who attend our institution. We are here to assist you in making a smooth transition from military life to student life, or transition from a transfer institution to the culture of OSU-Cascades. We are dedicated to providing you with information, tools, and services that will help you be successful at OSU-Cascades. 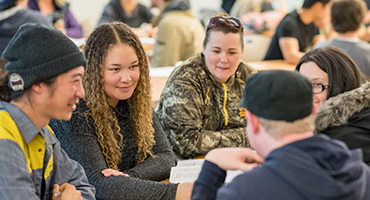 Connecting with other veterans at OSU-Cascades will support your transition to student life and ease your integration into the campus community. Join the veterans club. Please fill out this form and our coordinator will contact you.